Why Are The Democrats Pushing Slavery Reparations So Hard? It seems as time is passing by, we are hearing more and more that America has to do something to make up for the sin of slavery, every white American is guilty of this, it is a crime, every white person, due to their “White Privilege” must pay, or so the narrative goes. Reparations are the buzzword going around the leftist circles, you hear all candidates starting to sing this tune now on the left. But how do you figure out who pays what? And why are we paying anything, last I checked this nation went through a civil war that tore this nation apart, brothers were killing brothers, much of the South was left in ruins, something that took two generations or more to mend, yet this is still a guilt assigned on the 3rd, 4th, 5th generation? So starts the difficulty of dealing with reparations. I ran into this once, had an African American tell me we owe them reparations when I asked how I owe anything, I wasn’t there, he informed me that white people were guilty of this, we all must pay and do so with interest. So I asked, what about him, should he pay for the sins of his ancestors? Simply put, why are reparations my problem? Things got rather dicey when I started looking in the pockets of my jacket, told him I was going to pull up my calculator with my phone, it should not be too hard to figure out interest for 3,500 years, I was beginning to just love this idea of reparations. Things then went to yelling how I and all America were racist, that was easily refuted, I had done an article on this, it was titled – Is America Racist? Needless to say, that did not go down very well either. This is the problem with this demand for reparations, who pays for what? Do people who lost ancestors get a discount? And what about in Africa, do blacks who captured blacks and sold them to slavers, are they responsible? And Arabs, they were active in this trade, actually were until just 70 years ago dealing with slaves and slavery, ISIS was doing as recently as 5 years ago, do we make the Arabs pay as well? 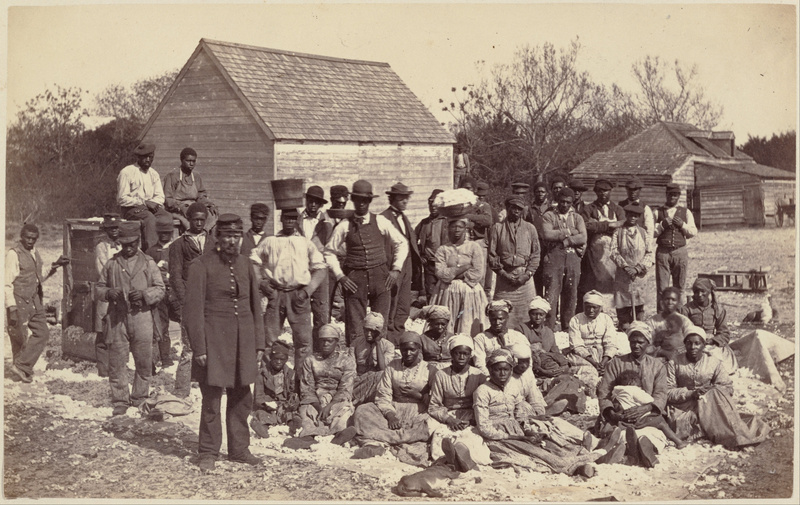 What about Free Blacks, in the south, a larger percentage of free blacks owned slaves than whites did, in New Orleans over 50% of the free black population owned at least one slave, should we dig through their ancestry and make their lineage pay? Do the people that are the great-grandchildren or even great-great-grandchildren, should they pay reparations? What about mix race children, do they pay half, one fourth, or less, and how do we figure out who gets what? Do they get graded on a sliding scale, the less African DNA you have in you the less reparations you will receive? Are we going to do what the Fascist did, start to devise a system of worthiness or lack thereof by your percentage of being part of a demographic? What about whites that have some African DNA in them, do they get reparations, even though they don’t identify as African American? What about people like we have seen in the past, the ones that have no African American blood in them, yet identify as black, since today liberals say you are what you identify with, do we owe them reparations as well? Remember liberals, respect the pronouns. This is more liberal looniness, it makes no sense, what is happening is the left has ignored the African American voters for years, they are now seeing an alarming rise of support leaving them, this is totally unacceptable to them. Right now African American support for Trump is at 35%, this is unheard of, it keeps rising, the left could be in serious danger of losing the support they have taken for granted for so long. This has the left so scared they have taken to labeling this as the “Kanye Effect,” such numbers have never been seen, even Reagon never held more than 8% support, the reason was simple, unlike Trump, the Black Community never experienced the uptick in economic growth as they have under Trump. In the Obama era the black vote for Obama was 93% in 2012, in 2008 it stood at 95%, unheard of numbers. But what did the vote look like in 2016? It was at 88%, we have seen a drop from 95% in 2008 to 88% in 2016, with the numbers Trump is showing, the Democrats could be looking at less than 75% of the Black vote, this could put their goal of replacing Trump in serious jeopardy, many will not wish to risk the economy, and their own financial security to chance a change in the direction this nation is going in. What is even more dangerous to the left, they could see that after years of neglect, refusing to do more than give lip service to the Black community with the exception of every four years to make promises, Trump has delivered, thus the GOP has, their economic outlook is far greater then they have experienced before, unemployment numbers are at a record low. PreviousIt Is Time To Call This Mueller Investigation What It IS, TREASON! NextIt Is Time For A Reckoning! Moves Toward Criminal Prosecution For Brett Kavanaugh’s Accusers.